At the Cleveland law firm of Richard L. Banks & Associates, P.C. we help people throughout Tennessee and Georgia overcome debt through bankruptcy. With more than 35 years of experience on our side, we know how to actively fight foreclosure, repossession and all other problems that come along with out-of-control debt. We understand just how urgent these situations can be and how important it is for a bankruptcy attorney to move quickly. At the law firm of Richard L. Banks & Associates, we provide same-day appointments as necessary, and we respond with haste. We can even assist in stopping foreclosure up until an hour before the home is sold in a foreclosure sale. Overwhelming debt, along with the creditor harassment and other problems that come with it, can be extremely stressful. We approach cases with a caring and courteous attitude. Our job is to help you through this, doing everything possible to eliminate the stress you are under, as well as the debt that has caused it. During a free initial consultation, you will be able to confidentially discuss all available options, including Chapter 7 bankruptcy and Chapter 13 bankruptcy. 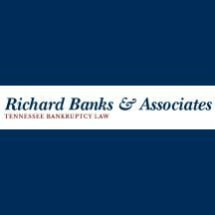 Your case will be led by board-certified bankruptcy specialist Richard L. Banks, so you can be confident that you are in good hands, whether you are challenged by credit card bills, medical bills or any other type of debt. Our law firm will open cases for no money down and our reasonable fees can be paid through payment plans.